I’m interrupting my regularly scheduled posts to bring you a little update. Earlier this year, I decided to make an effort to blog at least once per week, no more or less, to give myself a little blogging strength. Apparently, the tactic worked. I now enjoy writing for you so much that I don’t plan to stop any time soon. In fact, I’m bumping it up a notch! A great team of people steadily contributed their time and energy to help me redesign this space. Thanks to them (and you will definitely hear me singing their praises in the next few weeks) beginning Monday, Kyla’s Joy will have a new look. It’s true. Spread the word – you won’t want to miss the unveiling! The more, the merrier. The more you read, comment, and share my posts, the more I am encouraged to write. In turn, I discover more ideas to make this website a community space, not just a space for me to preach what I’m learning. I hope you’ll benefit from the site just as much (or more) as I benefit from creating it. 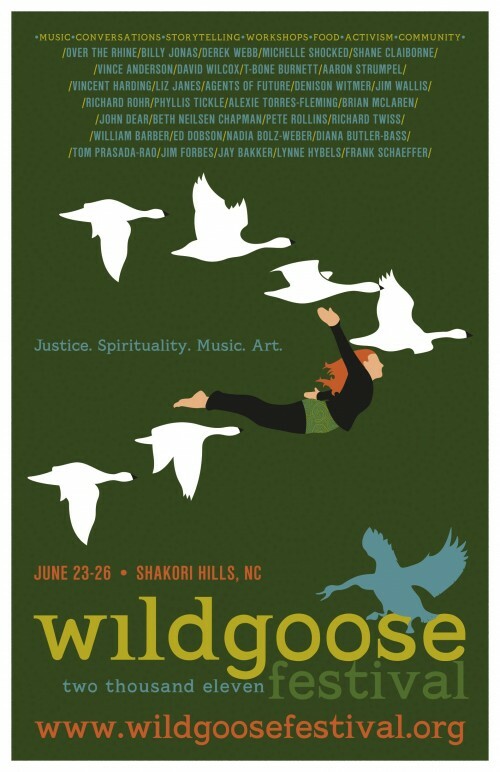 Next up: This week I’m off to the Wild Goose Festival, where conversations about community, faith, and loving people, will flow like music. It’s not too late to change your weekend plans, if you are at all interested in attending. I will be there because I know that the festival will generate conversations that will be like food for my soul. When I have an opportunity to see and hear how others are tangibly and purposefully acting out their beliefs, I am strengthened in my own decisions and actions. Speakers such as Shane Claiborne, Jim Wallis, Matt Pritchard, Richard Rohr, Bart Campolo and dozens others, have greatly influenced my faith journey. I’m looking forward to some good blog posts as a result, so keep your eyes open. I’m so excited that my eyes are glowing. Please send me a message here, or on twitter, if you’re going to be there. It would be a great joy for me to hug you in person! If you’re not going to be there, send me a message anyway. I like mail; it makes me feel all mushy inside. I think that wraps up the updates for now. Thanks for sticking with me. Friday: Week in Review – I try to post these every Friday. There are a lot of great reads on the web each week, so here’s your chance to glimpse what I’ve been reading. Monday: Redesign unveiling – Let’s hope nothing goes awry.